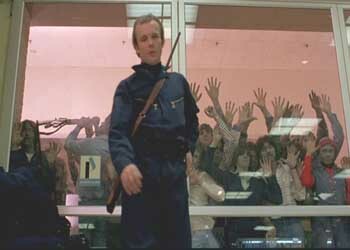 Much beloved by horror geeks everywhere, Dawn of the Dead is considered by many to be an untouchable Holy Grail of horror. Well, allow me to touch it a bit. I’m gonna touch it real good. Yeah, you like that, don’t you? But I digress. 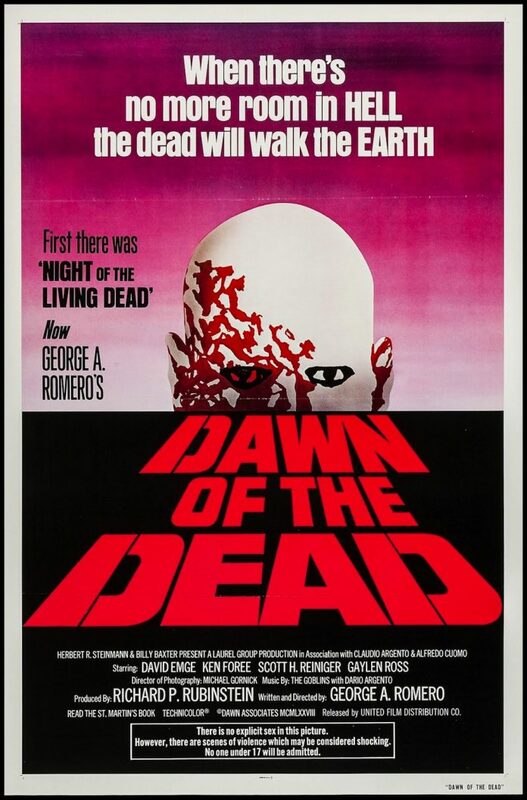 While I give kudos to George Romero for once again casting a strong black lead role in Peter (Ken Foree), whose looming presence dominates the film, I found the rest of the characters to be stiff — and I’m not talking about the zombies. Actually, I am talking about the zombies, too. These are some of the least frightening undead I’ve seen; I mean, a hare krishna zombie? C’mon. They claw so haplessly at their victims that you’d think they lack opposable thumbs. 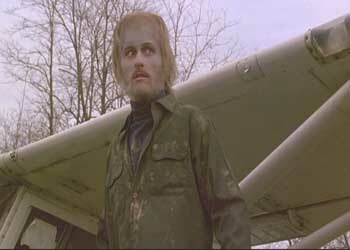 And while Tom Savini is a special effects master, couldn’t we get more intricate makeup than green Halloween face paint? 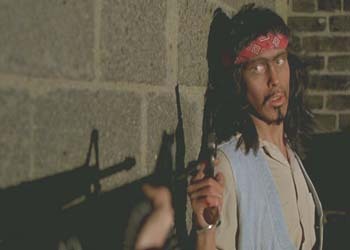 Sure, Dawn was groundbreaking at the time, and the brutal violence still resonates, but it’s just so dated (Day-glo red paint anyone? ), and the budgetary constraints are painfully evident. Plus, any attempt at social commentary — consumerism? — can’t compare to Night of the Living Dead‘s racial implications (intended or not), although the early “ghetto” setting is intriguing. 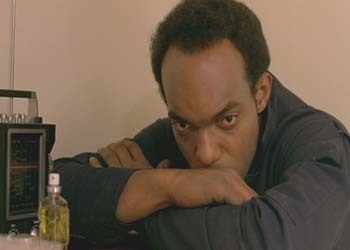 That said, Ken Foree is still a bad mofo who manages to not get chomped and whose presence is much appreciated, if only to keep the rest of the whiny cast from blabbing on and on in tedious attempts at — eesh — “character development”. At least it’s more exciting than Day of the Dead. Children make the easiest victims. The best accessory for the mall the day after Thanksgiving: a rifle.